Mangalore, or Mangaluru as it is now called, is one tiny city in Karnataka that is really undersold when it comes to tourism. I live in this little speck of a city that has everything one looks for in a tropical vacation destination – beaches, culture, food and fun. 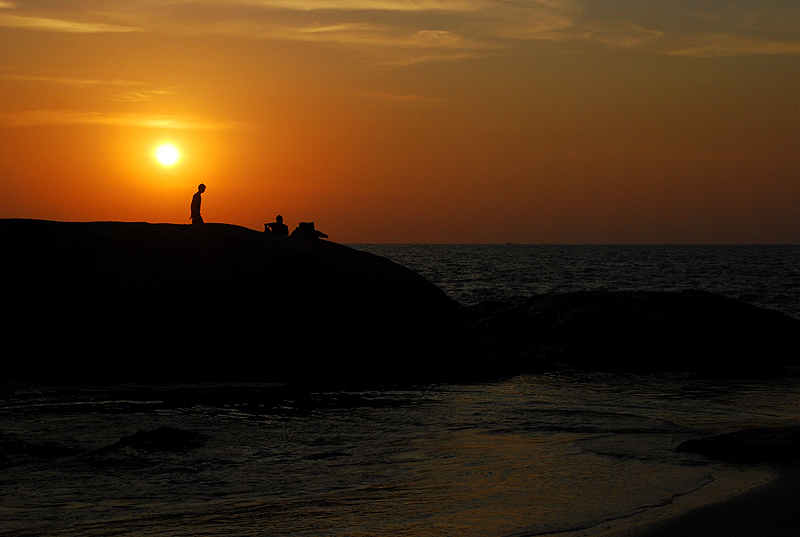 Now if you are a tourist visiting Mangalore, and have just a day to spend here, what would you do? This post is my attempt to help you with the question: What would a perfect day in my city look like? Read on. A perfect day in my city starts early – at 6 am to be precise. 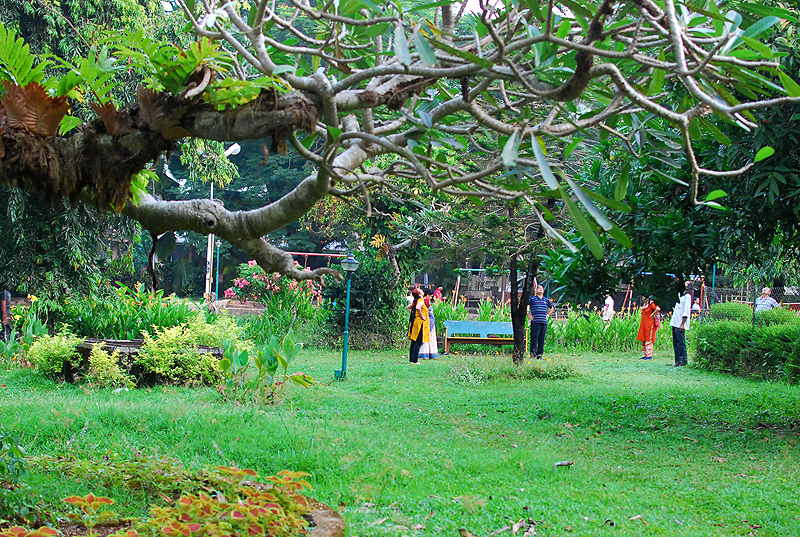 Begin the perfect day with a jog to Gandhi Park. Gandhi Park in Mannagudda is abuzz with activity at this early hour which helps one get over one’s lethargy and burn some calories. As you complete your first round inside the park, you would see the laughing club members warming up with a series of low intensity laughs (which should grow louder as the action picks up). A few paces ahead, some badminton enthusiasts would be playing on a makeshift court – the sand pit of the children’s playing area. If you are into Yoga, you are in luck as well – you could join the yoga club. A few rounds later, you should be energized and ready for the long day ahead. An active body needs a good breakfast. So let’s head to Woodlands – an old, heritage sort of restaurant that has been around for a long time. Really long time. Apart from the universal favorites like Poori/Dosa/Idli/Upma,etc, you could also try out the local delicacies like Mangalore Buns, Goli Bajje and Podis. Top it off with a strong coffee. It is now time to shower and change into some comfortable, outdoorsy clothing; I would recommend cotton or linen clothes, given the tropical weather. The morning could be spent visiting religious places inside the city (Mangalore has many famous temples, churches and mosques), or, you could drive down to Pilikula, about 12 km from the city. 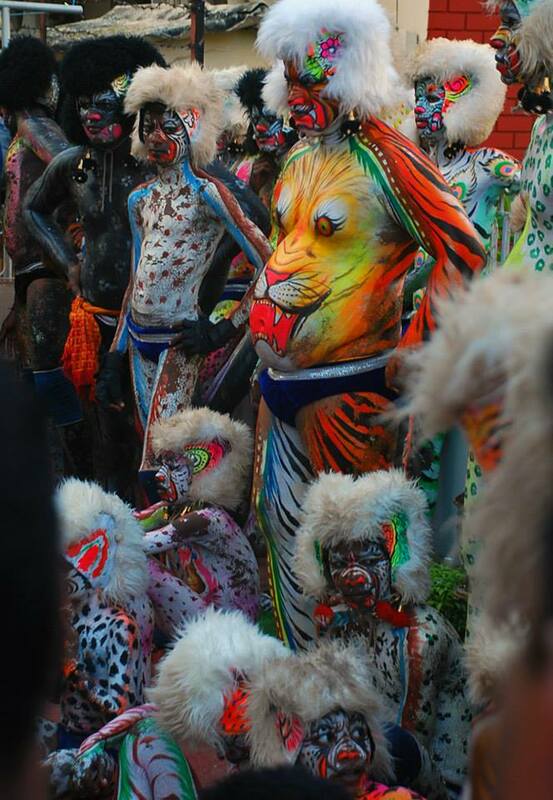 Pilikula translates to ‘pond of tigers’ in Tulu language (which by the way is a major language spoken by the locals in Mangalore. While we are on the topic of language, Mangalore is a place where a wide variety of languages are spoken and understood by the locals – Hindi, English, Malayalam, Kannada, Tulu, Beary, Konkani, and lately languages like C#, Java as well thanks to major IT companies setting up shop here). So Pilikula is an eco-education and tourism development project promoted by the District Administration of Dakshina Kannada. The area houses a Biological Park, Arboretum, a Science Centre, a Lake Park with Boating Centre, a Water Amusement Park and a Golf Course. You could easily spend a few hours visiting the zoo (Well maintained. Tigers and snakes are major attractions for visitors. 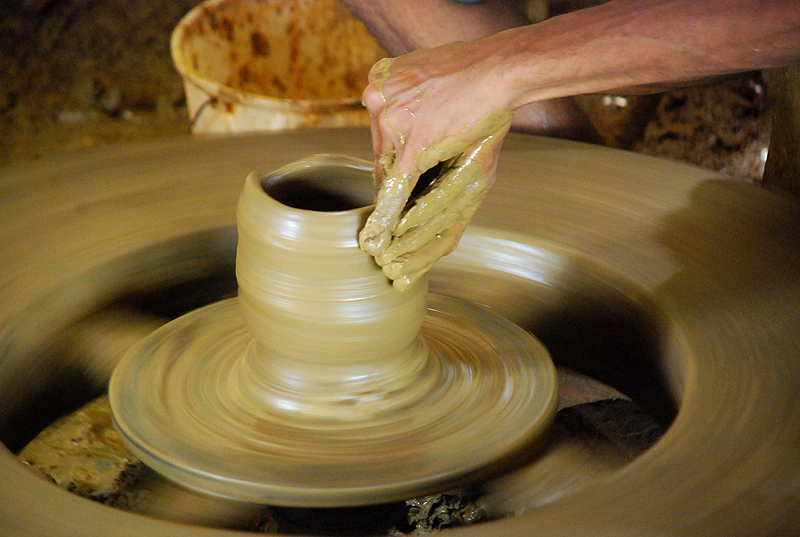 ), doing a bit of boating in the Lake Park, trying your hand at pottery in the Heritage village and shopping for some handmade artifacts from the Heritage village. Oh, you must now be tired and famished after all that boating, walking and excitement? No worries; Let me take you for a good lunch. Off we go to ‘Village‘ – a restaurant with rustic ambience and great food. Pick up the crab you want from the display kept up front, and get yourself seated near the small waterbody with flowing water. What would I recommend for lunch? For starters, try the following: silverfish rava fry, crab masala fry, chicken ghee roast. You will not be disappointed. And yeah, I am biased to non-vegetarians – sorry veggie folk – I don’t order too much of vegetarian, so I don’t want to misguide you with dishes I have never tried. For the main course, go for prawn or mutton biriyani. Or if you would like to try the local stuff, try neerdosa and chicken kundapuri. Or kori roti. Ask them if they have ‘natti-kori’ (country chicken) dishes – they are yum! Now, don’t order any desserts. We can have giant, nominally priced icecreams from Ideals or Pabbas. If you come to Mangalore, do not – I repeat – do not go back without eating icecreams from Ideals or Pabbas. Nowhere in the world will you get such huge, tasty ice creams at such low prices. What? You are stuffed, and would rather have ice creams later? No problem. Let’s head to a mall and do some slow walking. It helps in digestion, you know. Mangalore has 3 major malls now, and I would recommend that we go to the City Center mall (in the heart of the city), or Forum Fiza mall (Pandeshwar). Do some window shopping, and meet me at the lobby in an hour. Oh, you are back? You want that ice cream now? Alright, Let us head to Pabbas. Order any of these icecreams if you are anything like me (who has a black hole for a stomach): Parfait, Three-in-one, Tiramisu or Gudbad. Next to Pabbas is the fair grounds where almost every month, a new fair pops up. One day you see them taking down the stalls, and the next day you see them putting them back up with a different name. The stores sell more or less the same stuff, but people keep flocking to every fair, expecting something different every time. 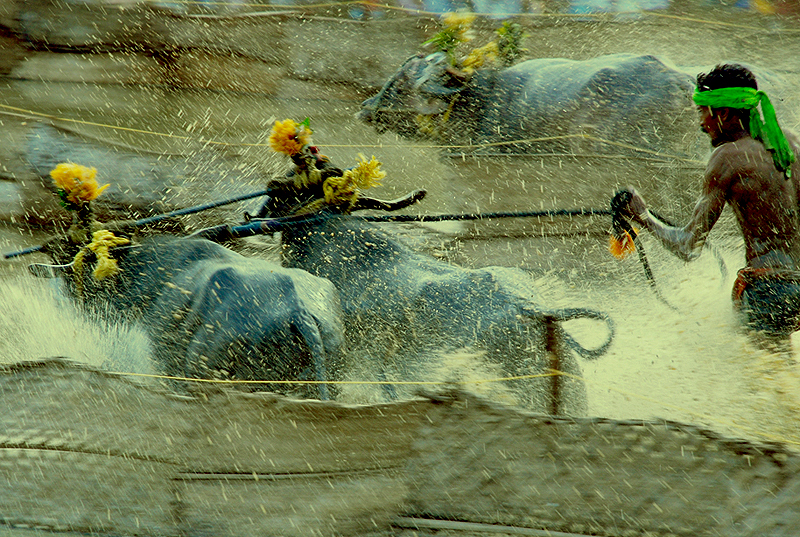 Now if you had come during the festival season, you could’ve seen Huli Vesha (Tiger dance), Kambala (Buffalo race, which now is banned), and fireworks. Try to time it better next time. Well, it is almost evening, and evenings are best spent on a beach. Now when it comes to beaches, Mangalore has a lot of options. My personal favourite is the Someshwar beach which is kind of rocky and less crowded. Panambur beach, on the other hand, is more commercial and where the crowds gather. There are many more options, but for today, I am taking you to Thannirbhavi beach. Let us take a route that would let us experience a bit of history as well – let’s head to Sultan Battery – An archeological site that has Tipu Sultan’s watch tower (Yep, you heard it right – ‘The’ Tipu Sultan.). From there, we can take a boat to cross the backwaters to reach Tannirbhavi. Chase those little crabs, get yourself dirty by building a sand castle, fly a kite or just plain watch the Sun going down while you reflect on life. If you would like to visit a pub before dinner, I would recommend Froth on top or Liquid lounge. For dinner, I am driving you to Royal Durbar – a restaurant that has been around for some time, and famous for Mughalai food. It is now time to call it a day – a perfect day. I hope you had a wonderful one.